​Liverpool goalkeeper Alisson has, as is customary with rivalries such as these, handily ignored Manchester United keeper David de Gea in a discussion regarding the best players in the world in his position. Alisson joined the Reds this summer in a £65m deal which, at the time, made him the most expensive keeper in history. He has since acclimatised well to life on Merseyside, and despite one high profile error against Leicester, he has conceded just 10 goals in his 15 appearances for the club, picking up seven clean sheets for his efforts. And, in accordance with this, he has seemingly cottoned on early to the time honoured tradition of leaving out ​Manchester United players from any 'best in the world' debates. Speaking to ​Goal, the 26-year-old was asked to name which custodians, past and present, inspire him. To start with, the Brazilian declared: "From my childhood, I always looked to [Claudio] Taffarel. He’s our biggest goalkeeping idol in Brazil from the 1994 World Cup, when we won on penalties in the final. "In the 1998 World Cup semi-final [against Netherlands], he also saved a penalty kick; both are key moments. He had technical quality, perfect positioning, so he's a goalkeeper that always inspired me. "Also Gianluigi Buffon, he, for me, is one of the best in the history of football, if not the best." 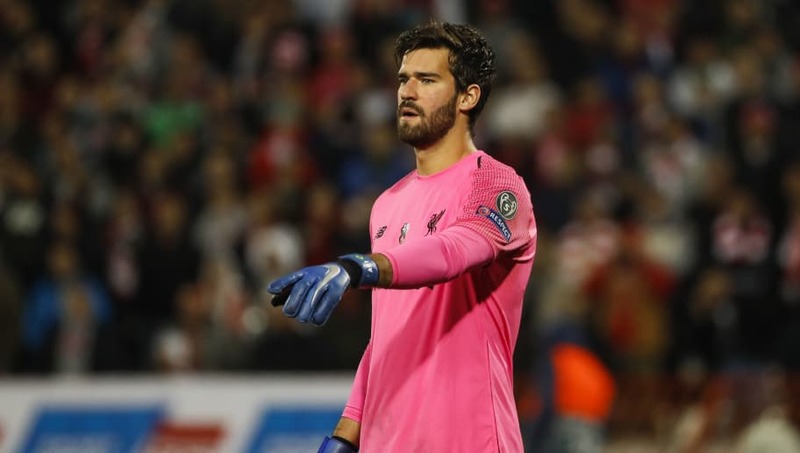 When probed on his contemporaries, Alisson mused: "I like [Jan] Oblak, he’s one I follow very closely. And [Marc-André] Ter Stegen. Both of them are greats." Pointedly, when he could've added ​De Gea, the ​Liverpool man merely stated: “There are others, but at this point, these are the ones that are showing more. Very high technical level, very high concentration level too; they are raising the competition level among us goalkeepers. "It’s a healthy competition to see which of us will be the best at the end of the year."